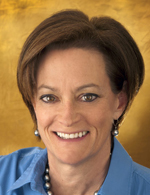 Charlotte L. Kells, Principal / CEO of Kells Associates has over 20 years’ experience as a consultant and coach helping clients achieve business results through executive coaching, organizational / team development, strategic planning, team facilitation / creative problem solving, and customized leadership development.Charlotte has been described as an “aka miracle worker.” People count on her for her ability to quickly custom design leadership development initiatives to successfully meet client needs. In her coaching work, Charlotte helps her clients translate creative possibilities into strategic outcomes.She is known for her ability to deeply listen, quickly assess, and understand the situation. She brings her knowledge and creative spirit to design engaging solutions that deliver results for individuals, teams, and organizations.One example of her consulting skills expertise is a project working with several Cape Cod town governments. As a part of the planning process with the Cape Cod Commission, she designed and facilitated unique, town-wide visioning/planning forums in both Yarmouth and Orleans to align visions, overcome conflict / resistance, and create concrete action plans. This initiative resulted in those town plans being presented to the Cape Commission. Another example: As a part of the Commonwealth’s statewide Managing for Results Initiative (MRI), Charlotte served as Lead Consultant in a project to assist the Division of Medical Assistance (DMA) in their employee involvement efforts for process improvement. She designed a unique, creative process that resulted in recommendations for the Senior Team to implement within 18-24 months. Charlotte’s clients have included the National Trust for Historic Preservation, the Department of Defense, Marin County, Cal State University East Bay, Fidelity Investments, Hachette Book Group, UMass Medical Center, C.R.Bard, New England Baptist Hospital, Caritas Norwood Hospital, International Fund for Animal Welfare, MassDevelopment, Panalytical, Omgeo, Hot Studio, Chronicle Books, Tufts University, and Boston Medical Center Health Plan. For ten years, Charlotte was a faculty member at the Creative Problem Solving Institute in their Facilitating Creative Leadership Program. 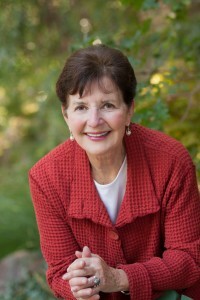 During this time, she taught multi-cultural leadership groups the Osborn Parnes Creative Problem Solving model: techniques for facilitating groups and creative thinking, and the skills to create high performance, innovative teams. Charlotte became a Colleague of the Creative Education Foundation in recognition of her work. In addition to being a certified mediator, she is certified to administer the Myers Briggs Type Indicator, the Hogan Assessments, Career Architect, Elements B, Integrative Enneagram, Leadership Agility 360, and the Leadership Effectiveness Analysis (LEA) 360. Charlotte has also completed advanced courses with The Coaches Training Institute. Charlotte holds Masters Degrees in both Education and Business from the University of Michigan and Lesley College. 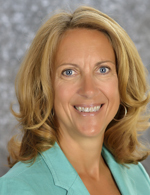 Pam Jaeger, President of Coaching Solutions, has 20 years of experience in executive coaching and leadership development, organizational development initiatives, team building, and global business conference design and facilitation. She partners with clients to promote personal and team development in alignment with dynamic business goals. Her services include assessment interviews and focus groups, program and meeting design, training, coaching and facilitation activities. Pam works across multiple industries, including higher education, technology, health care, and financial services. 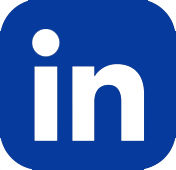 A sample list of clients includes MIT Sloan School of Management, Harvard Medical School, Apple, EMC, Lahey, Novartis, Blue Cross Blue Shield, State Street Bank and Omgeo. With Leaders: Pam implements a 4-step results-driven coaching process to coach leaders at all levels, from global executives to entry-level managers. She uses a variety of personal assessments and 360 feedback tools to help leaders increase awareness of how their behaviors and style impact others, create targeted development plans to guide and measure progress, and strengthen leadership effectiveness and presence. With teams: Pam partners with her clients to identify team development objectives, then designs and facilitates interactive programs and off sites to build high-performance teams. She focuses on the “what” and the “how,” creatively engaging everyone on the team to develop shared vision, strategic goals and action plans, and commitments on how to work best together. With organizations: Pam designs and facilitates learning programs, strategic planning meetings, annual conferences and shared problem solving sessions that help clients engage their workforce and identify new strategies and solutions. She conducts surveys and focus groups to increase engagement, develop cultural competency, and enhance communication to improve organization wide performance. Pam has her MA in Education from Boston University and her BA in Psychology from Wheaton College. She is certified to administer the Myers Briggs Type Indicator, the Profilor (PDI Ninth House 360 feedback instrument) and The PaperRoom System (internal 360 feedback system). Pam is also certified to deliver Achieve Global professional development programs, and has completed extensive training with Synectics, a leader in creativity and innovation processes. 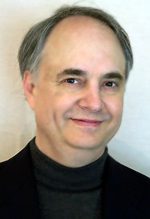 Bill Joiner is co-author of the award-winning book, Leadership Agility, and President of Changewise, a Boston-based firm that, together with its partners around the world, provides consulting, leadership workshops, and coaching services that enhance leadership and organizational agility. Bill is the creator of The Breakthrough Strategy Process, a methodology used to apply creative thinking tothe development of breakout strategies. His Fast Track Change Process, is a highly participative process redesign methodology that produces high commitment to and rapid implementation of high quality redesigns. He earned his BA and MBA at Southern Methodist University and his Doctorate in Organization Development at Harvard. Bill’s clients include Adobe, Amgen, Bell Canada, Corning, Digitas, EMC, Goodwill International, Harvard Business School, IBM, McKinsey, MIT, New England Journal of Medicine, PepsiCo, Polaroid, Royal Canadian Mint, Pfizer, Siemens, State Street, Sun Microsystems, Sunoco, T. Rowe Price, Travelers, and various US and Canadian federal agencies. Marianne’s success as an organizational consultant in the healthcare industry is grounded in an ability use the power of relationships to integrate the core mission of caring with the business of delivering it. She does this by using her wealth of knowledge and experience to lead from theory, possibility and practicality. Additionally, she embraces strengths based methods that leverage competence and multiple perspectives, which in turn generate an openness to change. This results in mobilization of energy within an individual, team or organization for focused action. Carol Salloway has been an organizational consultant for over 20 years. She is a Partner in Performa Consulting Group, a consulting firm providing organizational and leadership development services. Prior to establishing this consulting practice in 1997, Carol spent 10years as the Human Resource Consulting Practice Manager at a management-consulting firm, now Clark Consulting. Her earlier career involved starting up and running the student service organization a Boston area graduate school. As an organizational consultant and executive coach, Carol designs, develops and delivers programs and services that enhance individual and organizational effectiveness. She is known for helping individuals and teams achieve clarity about issues, opportunities and actions that lead to results. Her industry experience includes many start up, emerging growth and well established companies in the technology, biotechnology, financial services and health care industries as well as not-for-profit organizations. Carol earned a Bachelors degree in Psychology from Simmons College and an MBA degree from Boston University, with a concentration in organizational behavior. 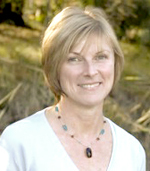 She is a certified professional coach, earning that designation through New Ventures West Integral Coaching Program. She is qualified in Myers Briggs Type Indicator (MBTI), the Leadership Effectiveness Analysis (LEA), CCL’s Benchmarks, HayGroup’s Emotional & Social Competency Inventory (ESCI), the Leadership Agility 360, the Enneagram and various other instruments and processes. Carol is a committee chairperson in the Northeast Human Resources Association (NEHRA), and an active member in the Human Resources Leadership Forum (HRLF), the Boston Facilitators’ Roundtable (BFR) and the International Coaches Federation (ICF).